On the gala that took place on 23 January 2019 in the Employers’ House, EAACEC, EEL and the Ministry of Economic Affairs and Communications awarded the prizes for the Best Building Project of the Year, Best Civil Engineer of the Year and Best BIM Collaboration Project of the Year. 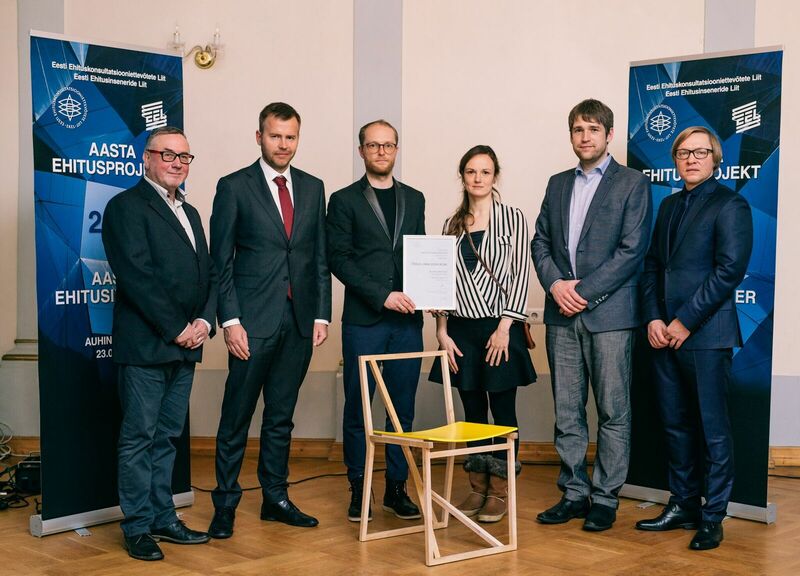 In the competition Best Building Project of the Year 2018 arranged by EAACEC the awards went to Arvo Pärt Center (buildings) and Tõrva town center (facilities). The title of the Best Civil Engineer of the Year 2018 issued by EEL was awarded to Karl Õiger. This entry was posted in Без категории. Bookmark the permalink. Both comments and trackbacks are currently closed.